The hardest part is only picking 6! 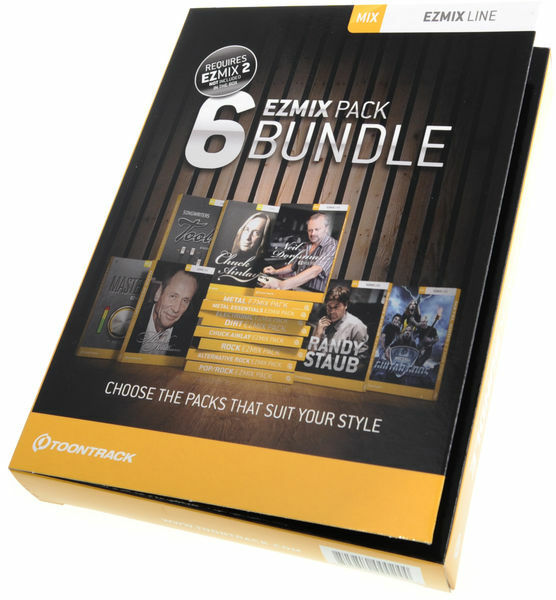 I love Toontrack's EZmix 2 so when it was time to expand I went for the 6 pack bundle as it works out cheaper in total. It's very easy to register and download the expansions. The hardest part was only picking 6! Would highly recommend the Mastering expansion though, it instantly makes your mixes sound bigger and more polished. ID: 324731 © 1996–2019 Thomann GmbH Thomann loves you, because you rock!